Traveling with pets can be hazardous without the right preparations as I have noted before in Canine Car Ride Crimes. If you are traveling and don’t have your pet properly secured in the vehicle your pet could be injured in a variety of ways. Dangers include broken bones when a pet gets hit by a deployed airbag, injuries from being thrown through the windshield of the car, falling out a window into traffic, or ending up with severe road burn injuries when he or she jumps out of a truck bed when not properly secured. 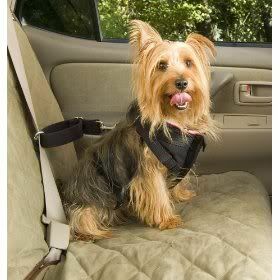 To keep you pet safe while traveling in a vehicle they should always be secured in a carrier, Pickup Truck TieOut, seat belt, or similar device such as a Car Harness. It is important that the dog be secured so that it can’t jump off the seat. If you have problems securing your pet safely consider using a crate. Soft Crates are becoming more popular since they are easier for some people to manage and can be stored easily upon arrival. I am still a fan of the airline approved crates since they also provide some sort of protection in the event of an accident but you choose from a variety of Assorted Travel Crates. It is also a good idea to make sure that pets have an ID tag on with emergency numbers in the event a pet escapes or gets lost. Temporary tags with the number of the hotel or home where you will be staying are a must. Personally I think having an emergency number of a friend, in addition to your cell phone, is important. My pets all had their own travel kits that included seat belts, treats, toys, food, bowls, etc. Today you can find Pet Travel Kits for almost every taste. When traveling with a pet don’t leave water in the cup inside the crate because your pet will end up wet and chilled. It doesn’t hurt the pet to go without food or water in the crate when you are driving. The better idea is to offer water when you stop for a rest or potty break. You can also drop in an ice cube for the pet to lick. 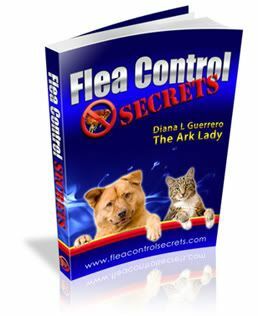 If you are traveling by plane you will find some valuable information in my previous article about Airline Pet Travel Safety Tips but a Wheel Away Pet Carrier would be a great item to have for your pet. 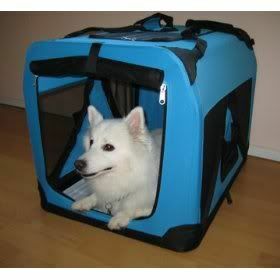 However you can find also select from a variety of Pet Stollers, Roller Backpacks, and Pet Totes. You’ll be happy to know that a new pet airlines will be launching in the Spring or Summer of 2009. I’ll write more on Pet Airways soon because I think it is a great idea to have pets fly inside the cabin instead of in the cargo area. If you need some more information, Pet Flight has compliled specific airline rules for pet shipping and travel PLUS provides airport pet potty locations. Click on my name for the USA Today article on the topic published in August of 2010.